As soon as the Master Lock SafeSpace arrived in the mail, my husband could not wait to open it. He’s all about small and portable little safes and he hasn’t stopped raving about this one since we first tried it out. 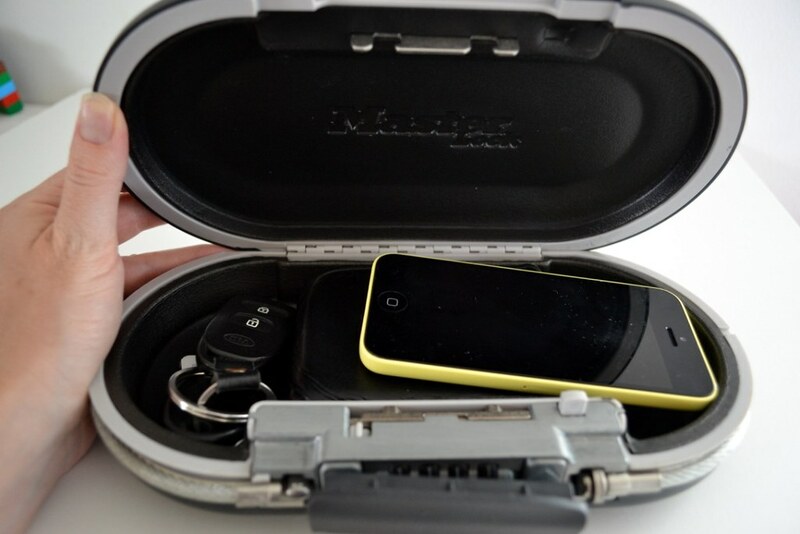 The Master Lock SafeSpace is a great small and portable safe to bring travelling or even keep with you at work or anywhere else you might need to protect your valuables. Amazingly, it’s also water resistant. It’s the perfect size to bring travelling without taking up too much space, and will give us peace of mind whenever we’re out. How does it work? 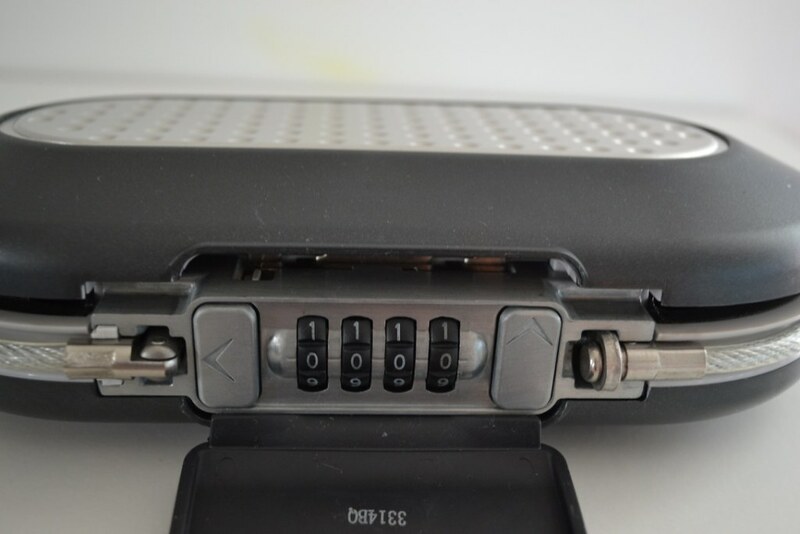 First of all, there’s a keypad, where you set your own code to open the safe. Then there’s also the cable, which can be wrapped around a fixed object to make it even more secure if you are leaving it somewhere. The cable also acts as a handle. So far we’ve only had to use the keypad, but I love the idea of the cable, especially if we are leaving this somewhere like a hotel room. And what about the size? 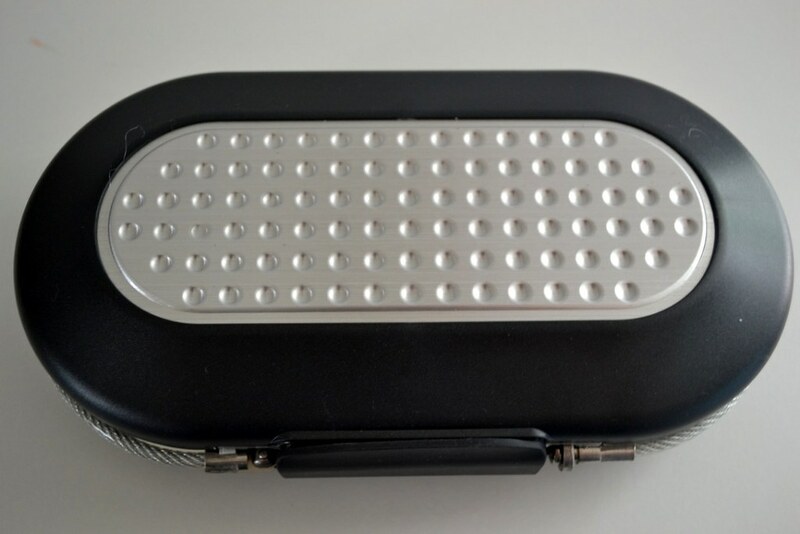 Like I mentioned, it’s small, but it’s the ideal size for travelling or just holding a few of your personal belongings. I was able to fit in a cellphone, good sized wallet and keys and still have room for more, such as credit cards, jewellery or passports. I know the safe will be coming along with us on our next trip, and so far it’s been used almost daily by my husband at work. If you’re looking for the ideal valuable storage solution for on the go, especially for your travels, I wouldn’t hesitate to pick up the Master Lock SafeSpace. This is a sweet wee safe! It would come in very handy on road trips etc. Thanks for the info! I think my son could use one, thanks for sharing, love learning about new products! This sounds like a neat little safe. Would be handy for going on trips too – hmm would a passport fit in it? I’ve wanted one of these for a long time now. Perfect for money, medication and jewelry. You can,t be too careful when traveling. I actually have this product and use it all the time when I travel. It’s awesome!